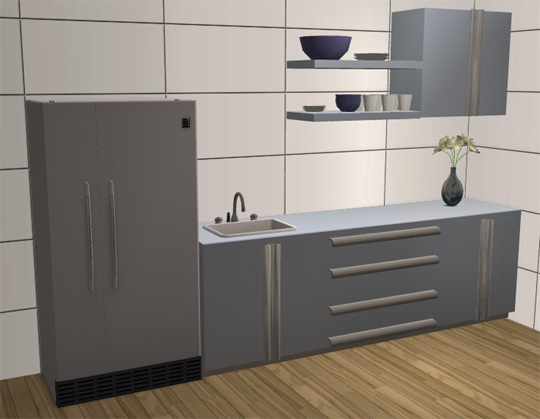 I hope you like my new update: a kitchen set in reflective blue! 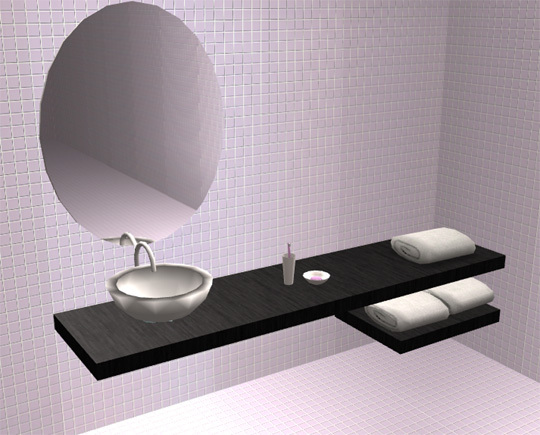 Today's update is this lovely lavender colored bathroom set. Enjoy! First, many apologies for not updating lately. I've been sick for a while, so I haven't had the will nor the energy until now. I'm hoping to catch up, though. I hope you like my new update. Expect recolors! 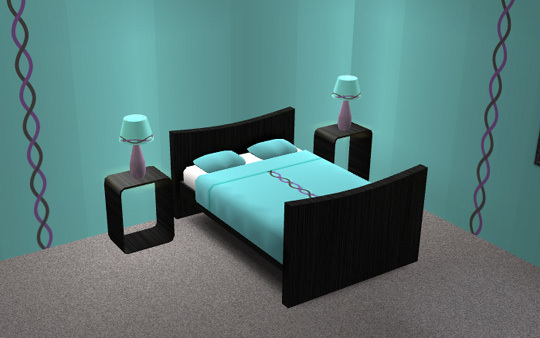 I hope you like the latest update: a bedroom set in bold colors. The pattern is my own design. 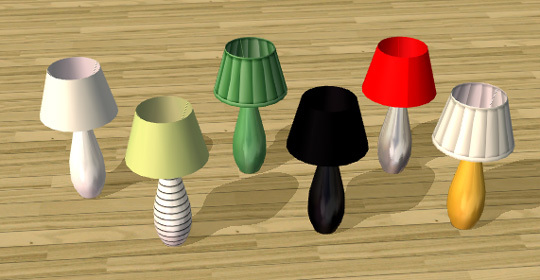 As seen in my recent bedroom set, here is the lamp in 6 colors. 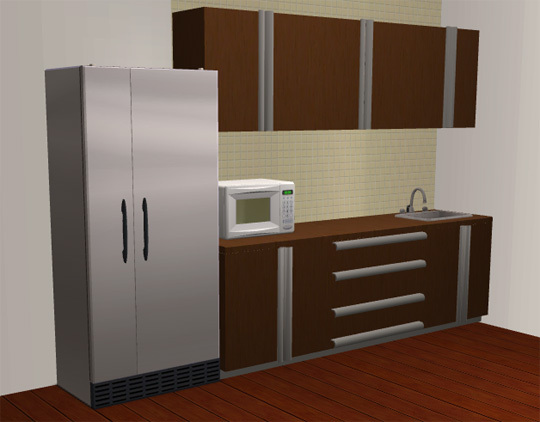 The shades and bases can be mixed and matched for other color combinations. I'm wondering what you all want to see more of, so I made a poll at the top, to see what I should focus on. Please vote, if you're a downloader! March 29th: Finally an update! 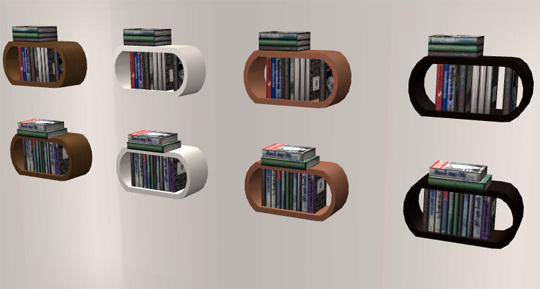 Enjoy this bookcase in 4 colors! I'm hoping that I will get time to update the site even though I'm very busy with work. 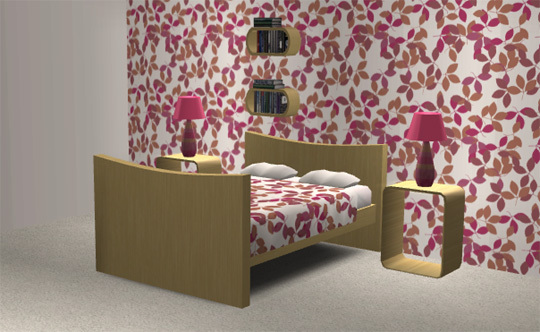 Here is a new bedroom set, the pattern was made by me in Illustrator.